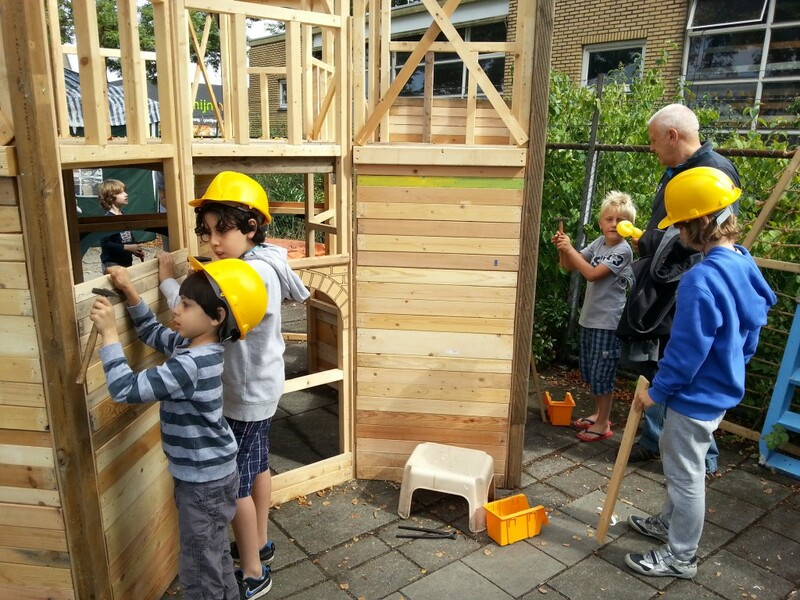 ‘Work before Playing’ is a pop-up crèche and a playground for children made by children themselves. The initial structure is a simple framework provided by the initiator, where children should nail down wood panels in order to finalize it. 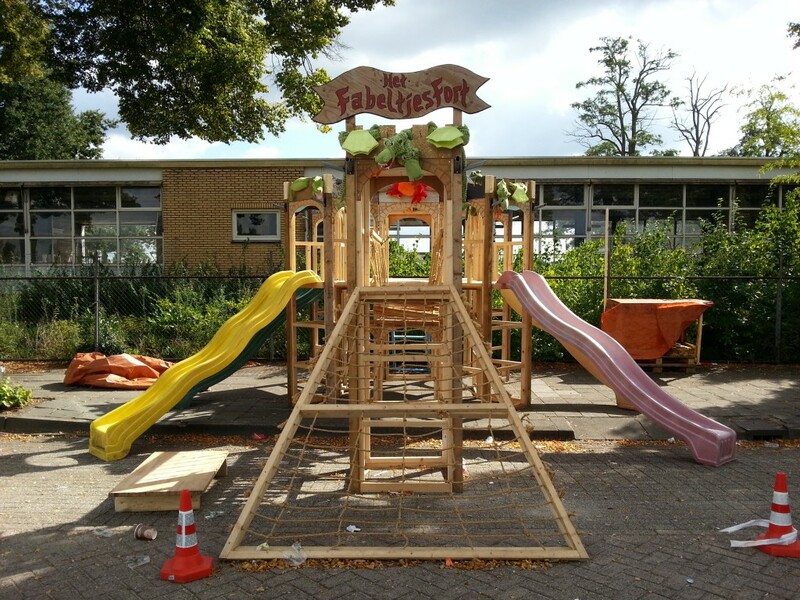 Slides and stairs are added at the very last minute, when the structure is ready, so children can start playing with it. Children should finish the structure before using it to have fun. The structure is built from the children themselves and it become a new facility and resource.